iPad vs. 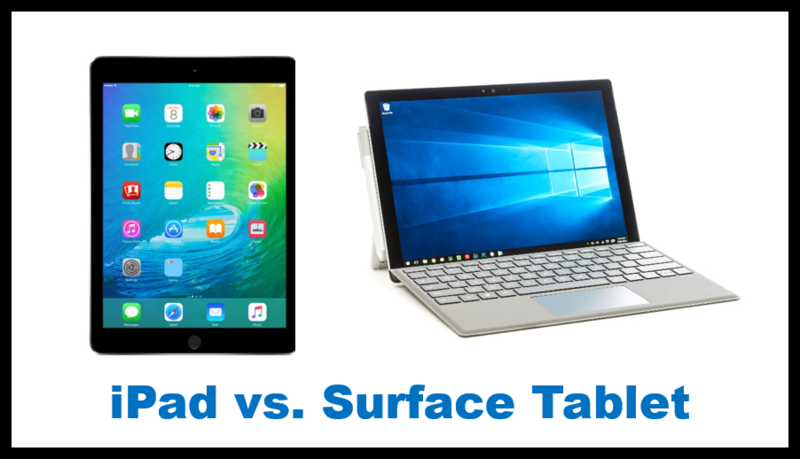 Surface Tablet: Which is better, for you? Even though I’m the founder of a successful IT and cloud computing company, to my family and friends I’m still just “a computer guy,” who they call on for help with everything from iPhones to printers to DVR’s. Sometimes I feel like a seasoned brain surgeon who still gets calls from people asking him whether they should take Tylenol or Advil for a headache! Alas, I’m still fascinated by technology and love what I do, and thus enjoy answering these questions and being the resident tech geek for my friends and family.